At eEuroparts.com, we take great pride in providing you with access to the auto parts that you need. 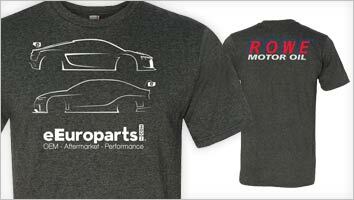 Whether you need a rare auto part or something more common, our goal is to help you find it. Among the parts you can find in our inventory are XC90 parts. The Volvo XC90 was one of the most groundbreaking models to be introduced by Volvo. This vehicle was first introduced to the public in 2002 at the Detroit Auto Show. Marketed as a Sports Utility Vehicle, the XC90 was touted as one of the most flexible vehicles to roll off Volvo's assembly line. With the ability to seat up to seven passengers, this SUV also offered unrivaled safety for all passengers regardless of where they may be sitting in the vehicle. Once again, Volvo was at the forefront of safety standards in the vehicle industry. The XC90 was also specifically designed to maneuver like a car but provide the same cargo capacity as a wagon. In 2004, the XC90 was given a new engine option. This was the V8 engine. It was the first time a V8 engine was offered for a vehicle from Volvo. The new engine was able to achieve 315 hp. Currently, this five-door SUV is still in production. 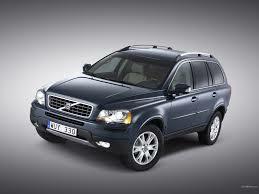 If you are in need of XC90 parts for your vehicle, then you need look no further than eEuroparts.com. We are constantly working to expand our inventory to provide you with the greatest selection of automotive parts possible.